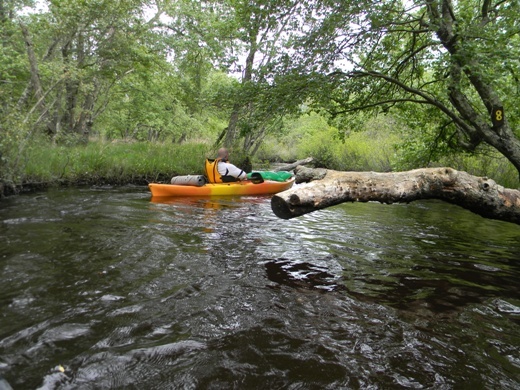 Mullica River Paddle – Atsion to Pleasant Mills – Burlington County, NJ- Overnight or all in one go! Distance: Best guess – 10 miles. Heard everything from 8 (seems short) to 15 (seems long). The official number is 10, but ever that didn’t seem right. Terrain – Narrow, winding river with lots and lots of sharp curves. Later on, broad marsh lands. 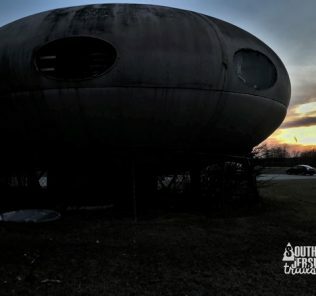 Take outs – Pleasant Mills – 39° 38.388’N, 74° 39.541’W. For pickups, if headed toward Batsto, this is the road to the RIGHT just after the intersection of Rt 542 (Nesco Road) and 643 (Pleasant Mills Road), just past the Pleasant Mills-Batsto Cemetery. You’ll notice yourself driving on a bridge across the river, the turn is right after this. You can also leave cars at Batsto and have a nice little walk of a mile or two. If you are superhuman, you can also paddle UP the Batsto River and make it into Batsto Lake. 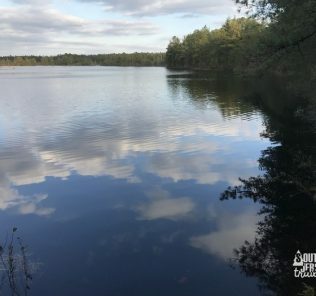 Description: Last Spring (oh, how long ago it seems), the Scouts and I headed out to do this run, camping out at the Mullica River Wilderness Camp along the way. 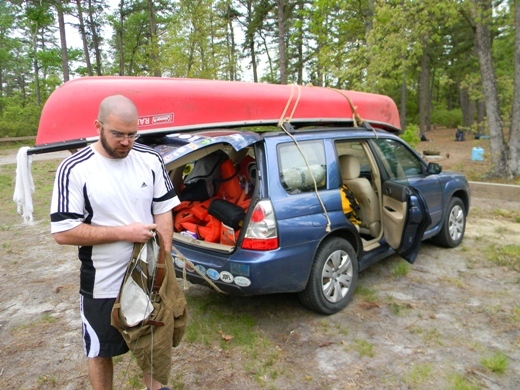 I’d never done an overnight canoe trip or canoed the Mullica, so everything on this trip was new to me. We camped out Friday night at Goshen Pond, which is only a mile or two down the road from the canoe put in. Canoes ready to go at Goshen. My glorious $100 canoe ready to be gouged by submerged trees. 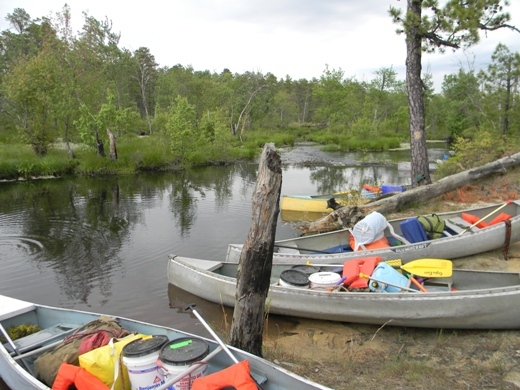 Now I’ve done a lot of canoeing in the pine barrens, but it’s been entirely confined to the Wading River and a few lakes. 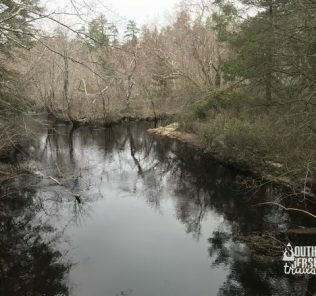 The Mullica and the Wading are both beautiful, winding rivers surrounded by pines and cedars in the South Jersey wilderness, but they have completely different temperaments. The Wading is generally very fast. Most of the time (and especially after rain), it’s like riding in a demolition derby, except the trees and river banks aren’t going to break. Hitting an obstacle in the river always carries a huge risk of flipping, getting impaled by branches, someone getting knocked out of the canoe, the canoe leaning enough for water to rush in. It’s seriously awesome. And I’d canoed it only three weeks before, so it was fresh in my brain. I was not prepared for the Mullica. The Mullica was slow and meandering. There are many, many more tight snags (especially at the beginning) than the Wading, which take time and patience to work through, not quick reflexes or brute arm strength to avoid tipping. 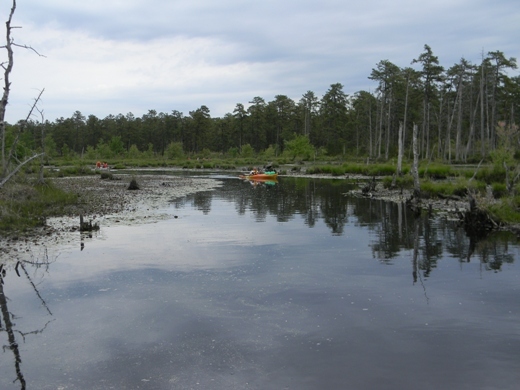 In the beginning, parts of the Mullica River are not even a canoe length wide. We had two different canoes get wedged sideways between the banks, something I’ve never seen before (note: teenagers aren’t always patient, especially when attempting to race other teenagers). 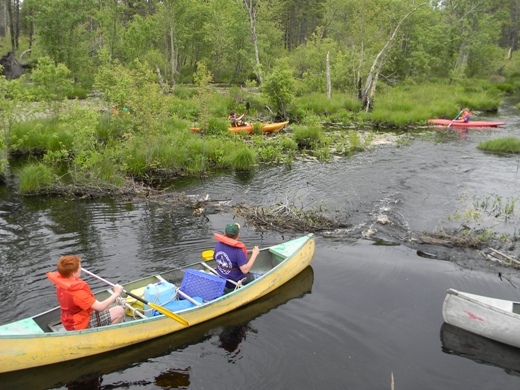 It was early in the season, so there were a few really bad snags that hadn’t been cleared by anyone yet that took careful maneuvering to get through, one canoe at a time. In parts, there were a lot of bushes lined up right against the banks of the river, making it seem like a tunnel at times. The biggest difference was the speed. The official distance between the put in and camp is 4.8 miles. On the Wading, I’ve done that in 1 1/2 hours when the water was high. It took about 5 hours to go that same distance on the Mullica. Overall, it was a more relaxed, more mental day than a physical one. 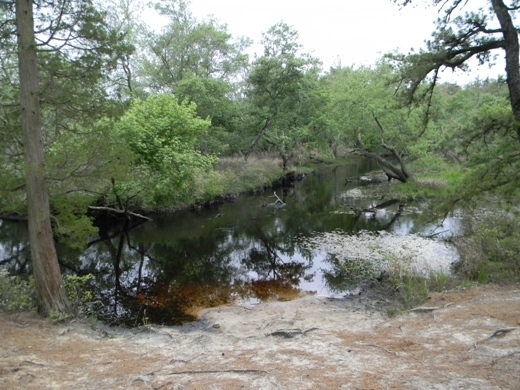 The tunnels of bushes gradually turn into more typical pine barrens terrain with sandy banks. There are several large swamps that the river meanders through, creating a maze of open space. Just follow the current, and you’ll be fine. Lunch comes after only two miles or so i one of the open swampy areas of the river. Watch out for alligators. Tom caught this one and mounted it on his kayak as a warning to others on the river. Over all, it was a slow, but enjoyable, paddle through the pines. I do suggest that, if in a group, stick close together to help each other through the snags. 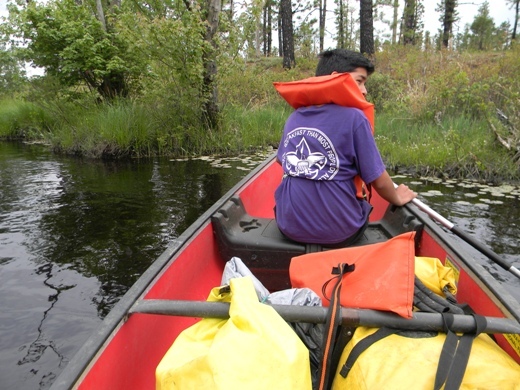 There was another Scout troop on the river this day that decided it was every man for themselves, and our boys had to help several of their canoes when they got themselves in trouble on snags. If by yourself, just leave plenty of time, and take your time. Also, keep your eyes open, we spotted a nice amount of wildlife on this one. Including two of these fellas. The world from the back of a $100 canoe. Big, beautiful swamps. Way different than anything on the Wading. After 4.8 miles (or 6 miles, or 106 miles… who knows?) you’ll hit the Mullica River Campground. 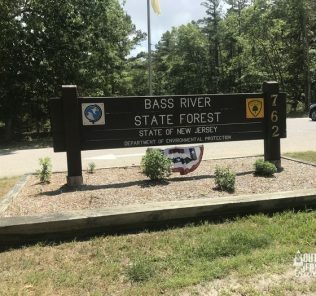 The is supposed to be reserved as wilderness camping only, you must hike in (on the Mullica River Trail – a future adventure!) or canoe in. You must reserve through Reserve America now (grrr… I hate fees), but the camping is more organized than it used to be. Overall, it’s a nice little campground. On a weekend in May, there was only one other group there, so it was a very pleasant stay. There are primitive outhouses and a water pump, so that covers your basic needs there. I’ve heard it gets crazier in July and August, so plan accordingly. Pull in at the campground. Who needs tents? (Answer- we did. 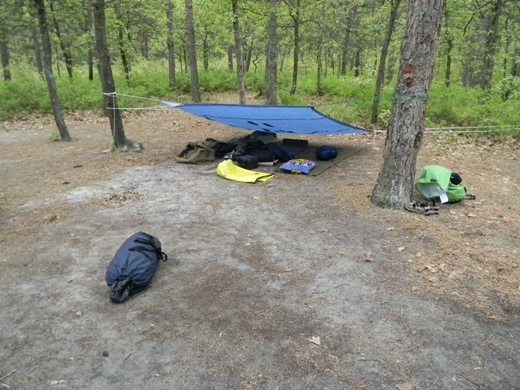 It rained that night and a hole in the tarp soaked my sleeping bag). Campground map (as stolen from Wharton State Forest website). We stayed in Sites 1-4 and they were very nice. After canoeing all day, why not take a hike after dinner? And so we did. View from the Mullica River Trail. That night, it rained. That morning, it also rained, so no pictures from Day 2. The official distance from the campground to Pleasant Mills is 5.2 miles. The river is much wider, with fewer snags, after the campground. We made much, much better time the second day. 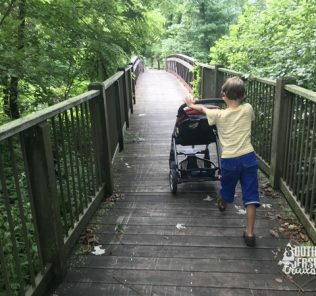 You’ll see high-banks in the sand, pass under Constable Bridge and a nice little hiking bridge that the previously reviewed Tom’s Pond Trail passes on. The pullout can be seen just ahead of you on the left when you pass under the 542 Bridge. 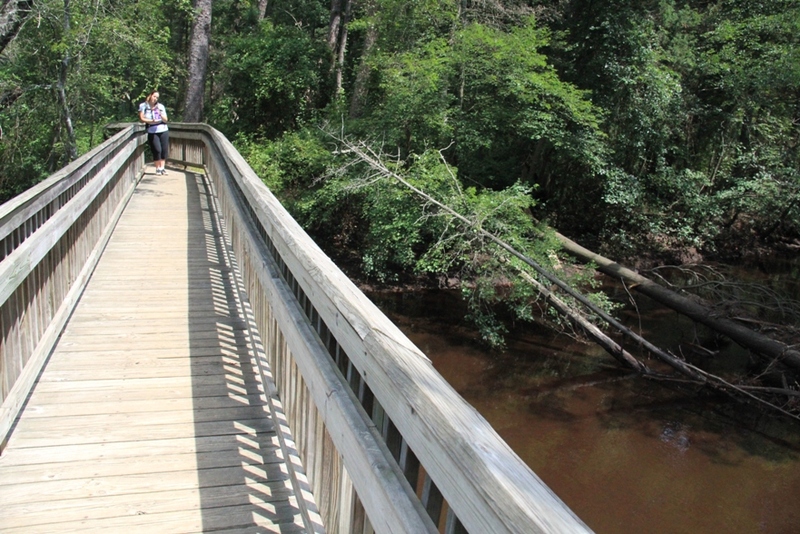 Tom’s Pond Trail bridge over the Mullica River, as seen on a sunny day when you are over, and not on, the river. Not lucky enough to own your own canoe or kayak? Adams Canoe Rental in Atsion, NJ will rent for day or overnight runs adamscanoerental.com. 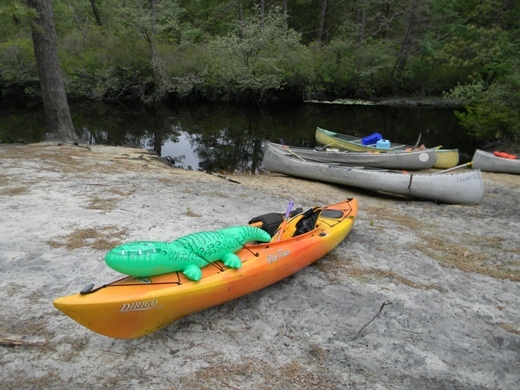 Adams Canoe Rental is no more, but the brand new Pinelands Adventures is supposed to supply canoes for that run. 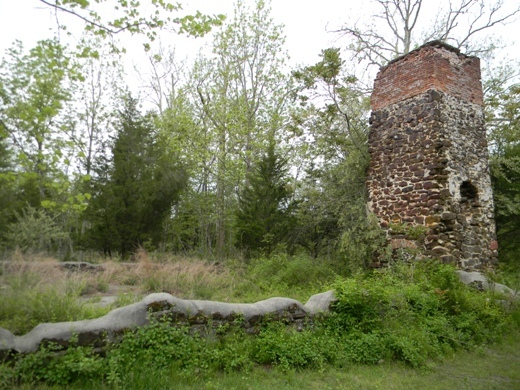 This is located at the old Adams site, and is run by the Pinelands Preservation Alliance. 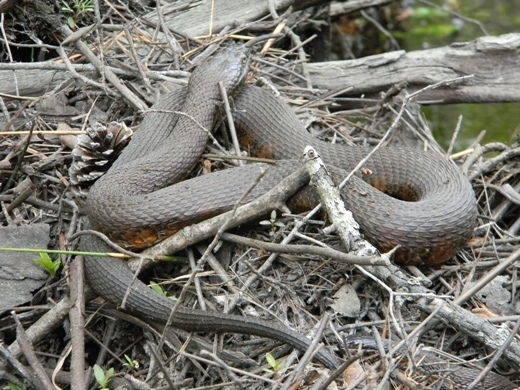 Cedar swamps, pinelands, swimming (when it’s warm), marshes, beaver dams, camping, and wildlife. River is a bit slow at first, and could be a bit hard to follow through the swamps when the water levels are high. I love the idea of canoeing, camping, then canoeing again. It was a little hard to navigate the snags at times, but also a ton of fun. You should definitely give it a try. Very Nice! I’m doing this trip for the 1st time this weekend. looking forward to the adventure. Nice BLOG! Enjoy! Should be a great weekend for it! We are planning this same trip in September with our Scout Troop. It looks like a great trip. Thanks for the review! I am single rider and new. Have done kayaking past year at atsion lake several times and few other places historic smith vile mt. Holly. Medford trails. 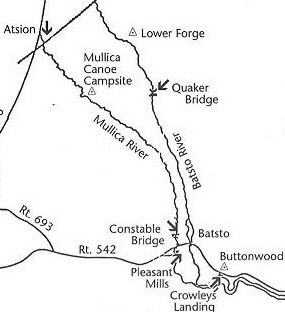 Is it possible to do Mullica river a mile or two from atsion start point and paddle back? As long as it hasn’t been raining much, I don’t see why it wouldn’t work. At the upper parts of the Mullica, the current isn’t that strong. If you want to be on the safe side, start further down the river and paddle upstream first. You could put in at Pleasant Mills (just before Batsto on the road) or Crowley’s Landing (just after Batsto, just reopened yesterday after being damaged by Hurricane Sandy). That way, you can get the hard part done first. Had a great paddle 0n 8/12/15 day after a good day of rain. The descriptions are accurate..lots of steering around bends, oxbows, only one tree had to portage around on the run to Pleasant Mills from Atsion Dam. It took me 5 hrs paddling..steady but not fast and a 15 mil bike ride back to Atsion to get my car. 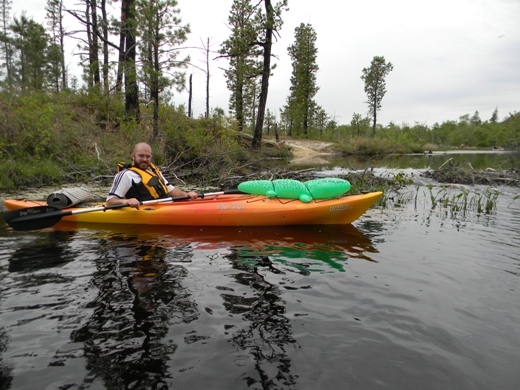 Kayak is definitely much faster and manueverable than canoe however….I set out same time as a pair of canoeists and they weren’t finished at Pleasant Mills when I returned there with car and bike to pick up my kayak. Sounds like a good day! The first part of the river would definitely be better with a kayak, just one of those rivers! Great report. Our boy scout troop is taking this trip for the first time in September. 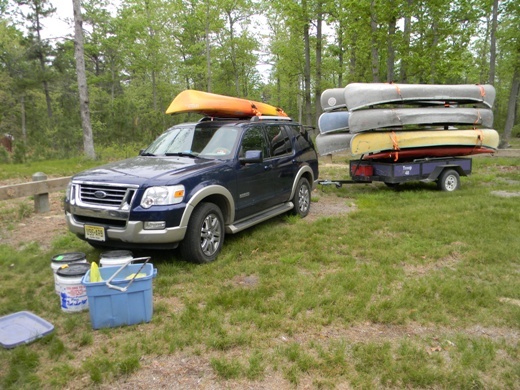 Where do you park the canoe trailer and your cars overnight? We parked our trailer and in the Atsion Ranger Station lot (maybe a 5 minute walk back for the drivers to the launch). On the other end, the best place for your cars is at Batsto. It’s about a 15 minute walk or so, although we were super lucky and caught a ride in the rain for one of the adults. We shuttled from Atsion to Batsto mostly with the cars, but it could work in reverse. 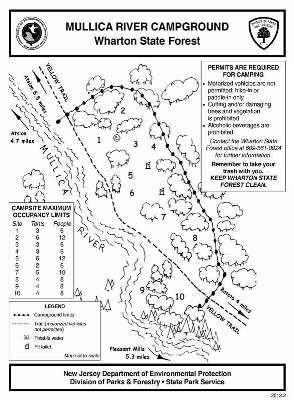 start if the river is low so that you reach the campsite before dark. I was with the other Troop on the Mullica with yours this weekend. It was a challenge! The last of the boys (and myself) got to the camp when there was as much moonlight (1/4 moon) as there was sunlight. Glad to hear your Troops persevered, sounds like a tough adventure! Hopefully we get some more rain soon… after the Pope weekend. Have you ever considered doing this trip in February? Sounds like a fun ride. I have, it’d be pretty awesome. A fellow on Facebook posted a trip him and some buddies made in the snow on a nearby river a few weeks ago, and the idea of winter canoe camping trip intrigued me (plus the pictures were amazing).